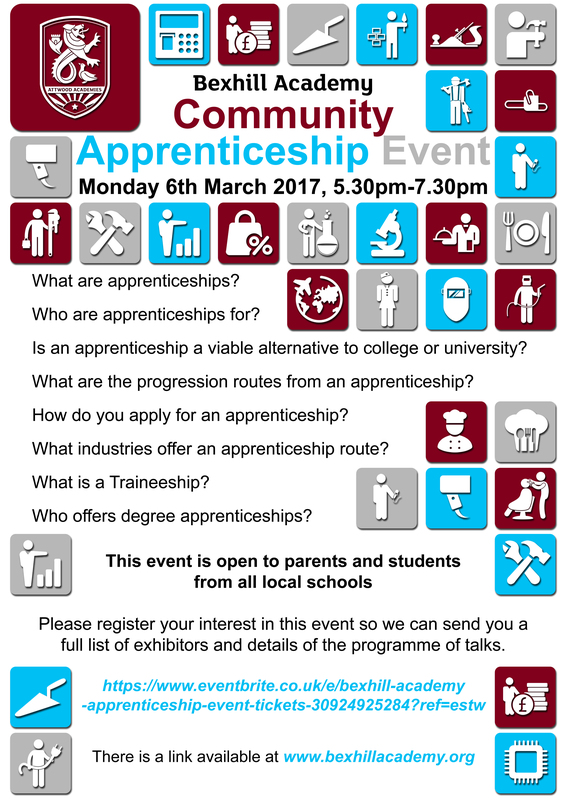 Bexhill Academy are organising a Community Apprenticeship Event to tie in with National Apprenticeship Week. The aim of the event is to educate parents, students and staff about the range of apprenticeships available as well as dispelling myths about what apprenticeships are and who they are for. Apprenticeships are changing and are now available at all levels from Traineeships to Degree Apprenticeships, and parents (and staff) are not always aware that they can offer a valid alternative to college and/or university. This event comprises of an Apprenticeship Fair as well as an Introductory talk about Apprenticeships and a Programme of Specialist Talks to inform parents about the different levels, industries who offer apprenticeships and the benefits of being an apprentice. It offers parents and students the opportunity to find out about apprenticeships, engage with employers and training providers and find out where to get help when applying for an apprenticeship. In order to maximise the benefit of this event it is open to any local parent/student who would like to find out more. Whether the parent has a current Year 11 student considering an apprenticeship as their next step, or a child in primary school wanting to educate themselves about future options this event should help to provide answers. 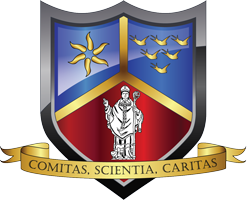 If you would like to publicise this event to your parents we would be delighted to welcome them to Bexhill Academy on March 6th. They can register their interest through our Eventbrite page which also gives more information about the event. We will send final information about the event and the programme of talks to all those who have registered.